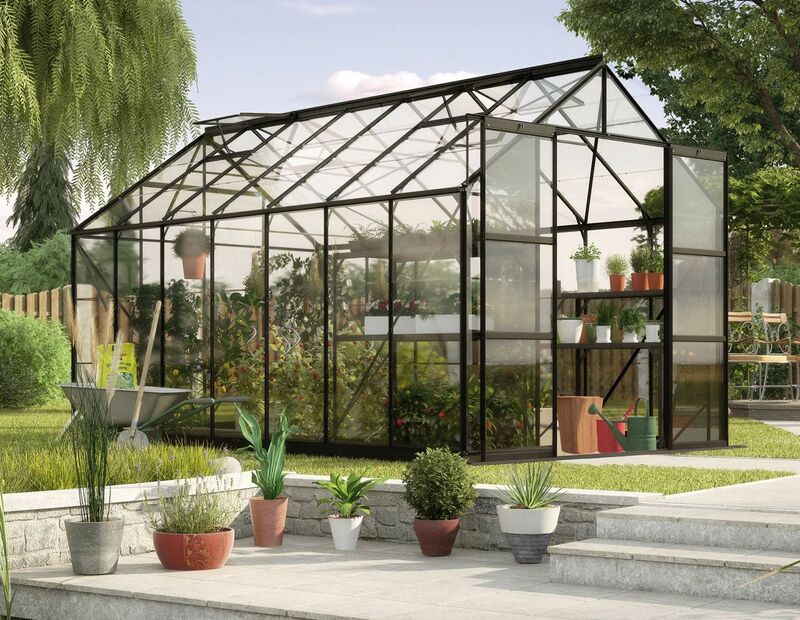 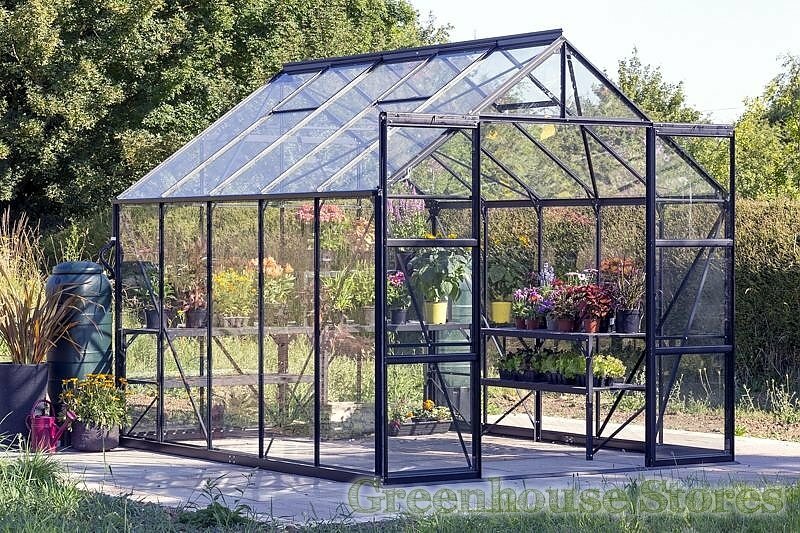 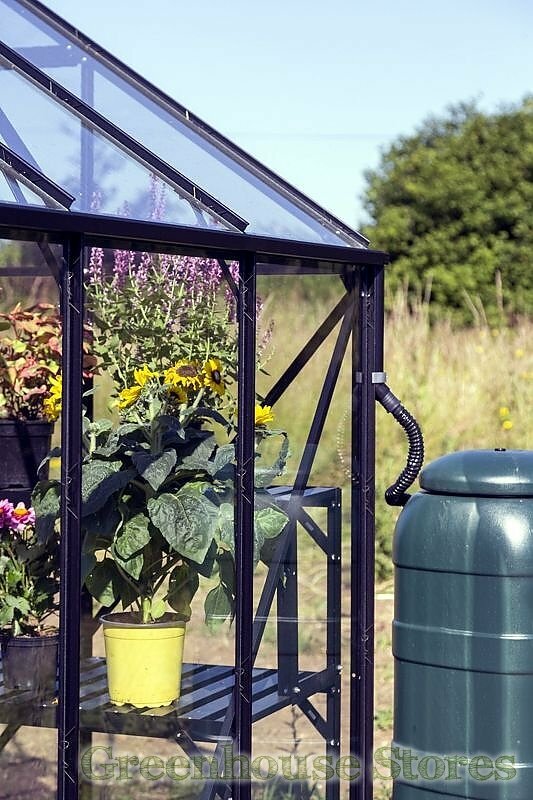 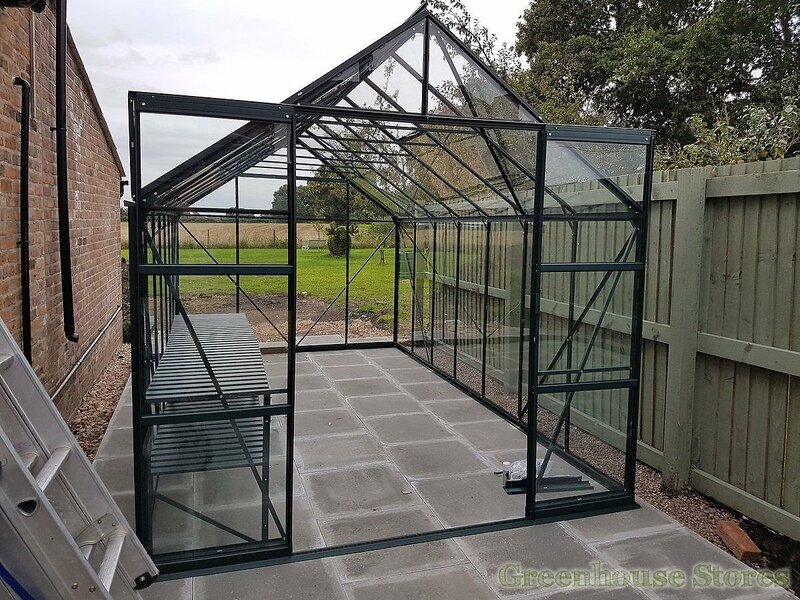 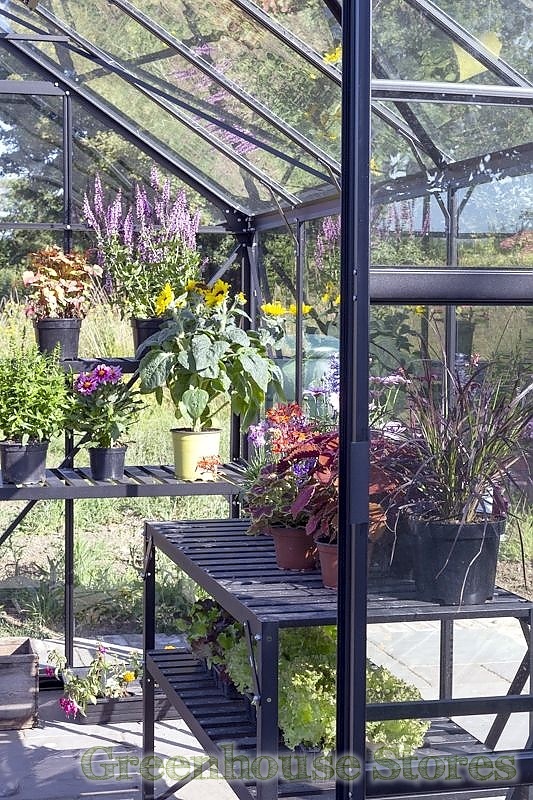 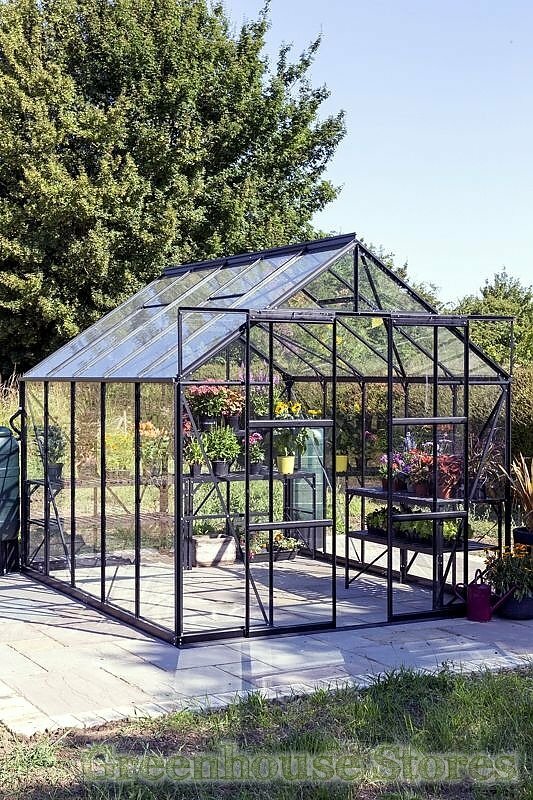 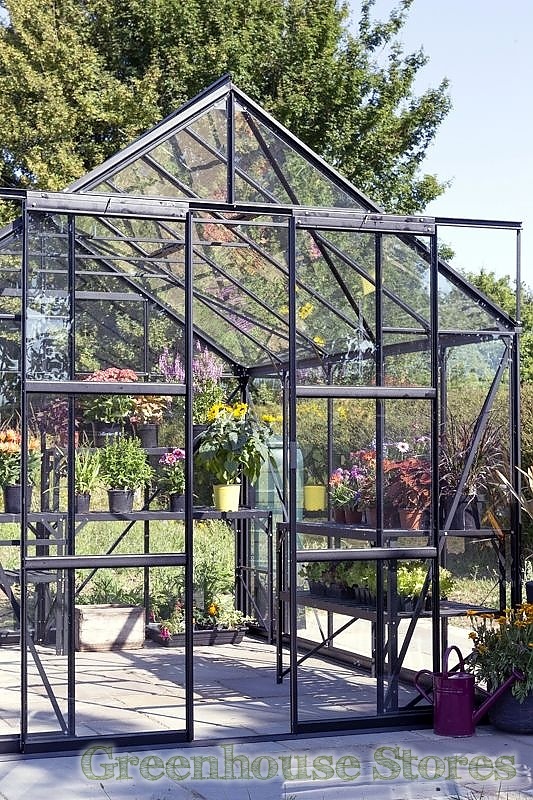 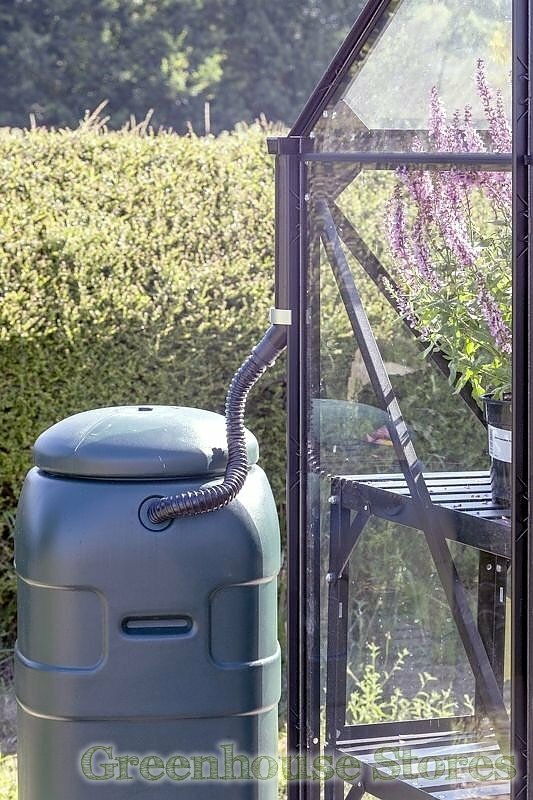 The 8x12 Black Vitavia Phoenix Greenhouse with full length toughened safety glass is brand new and has the integrated base plinth with a low threshold entrance making getting in with a wheelbarrow or wheelchair simple and safe. 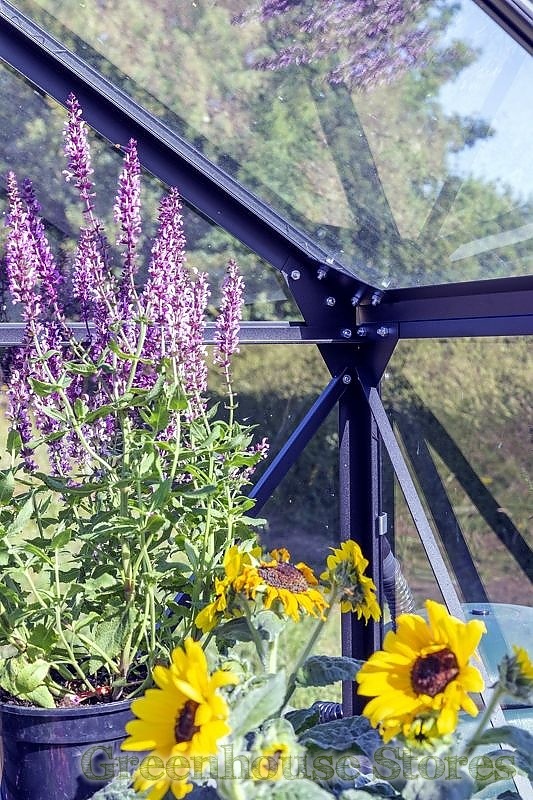 3mm Full Length Toughened Safety Glass gives the Phoenix superb rigidity, weight and safety. 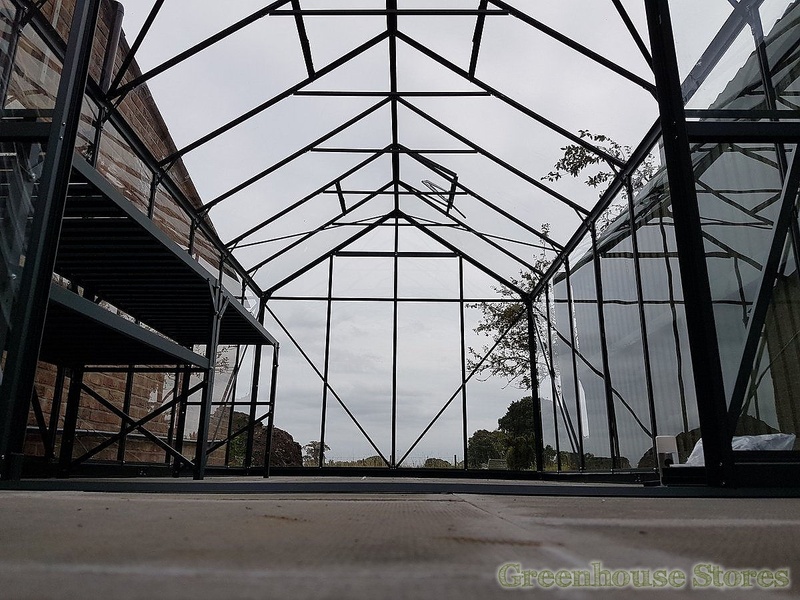 The full length panes fill each panel in the greenhouse, preventing little drafts and help to keep the greenhouse square and stable. 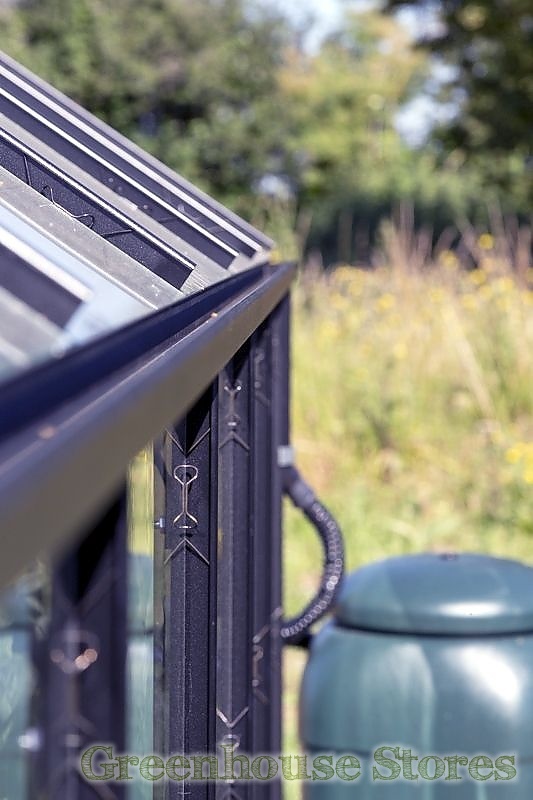 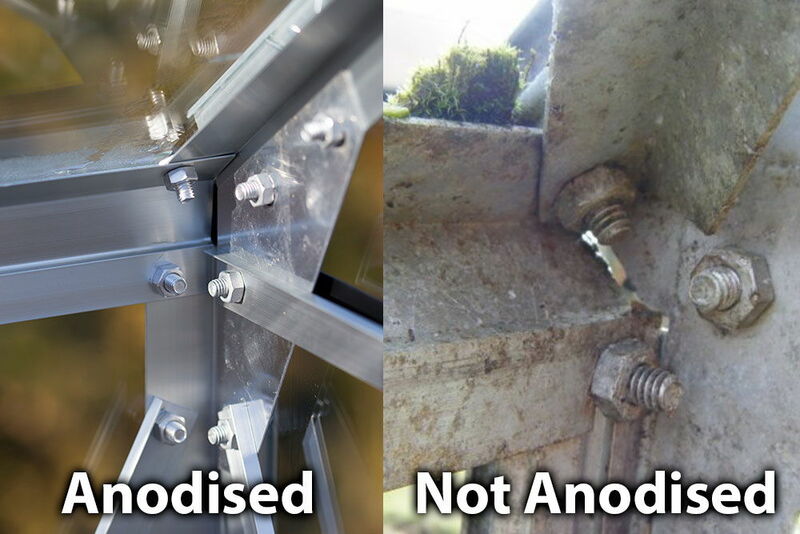 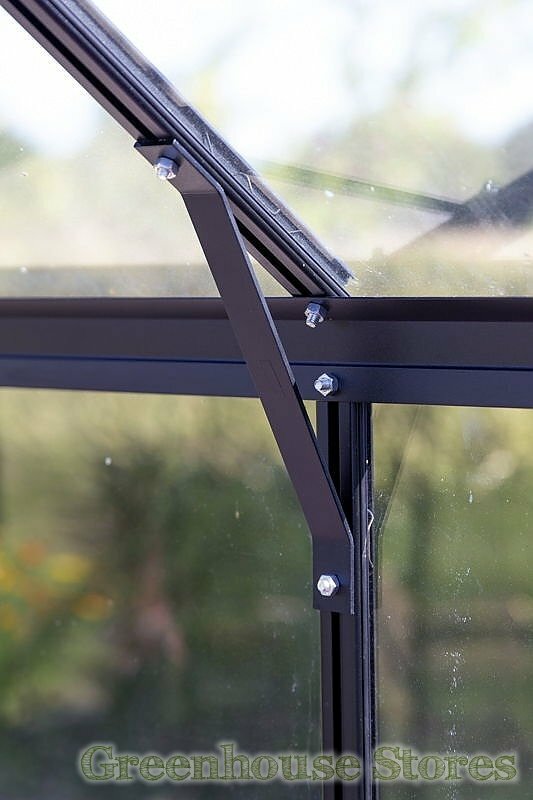 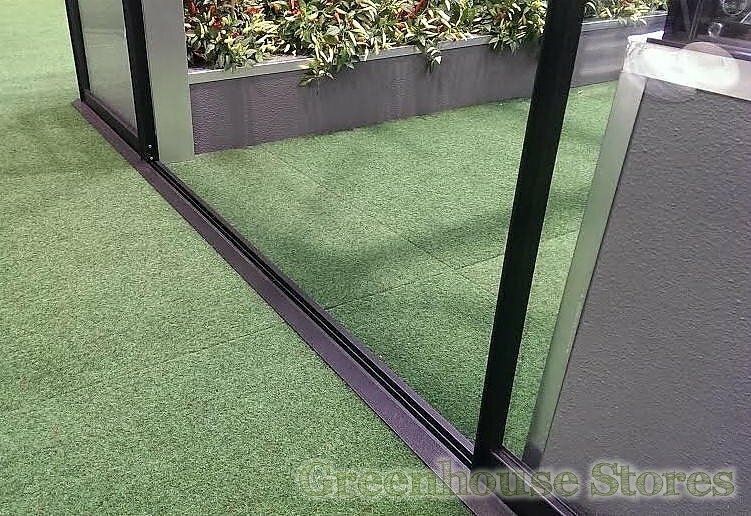 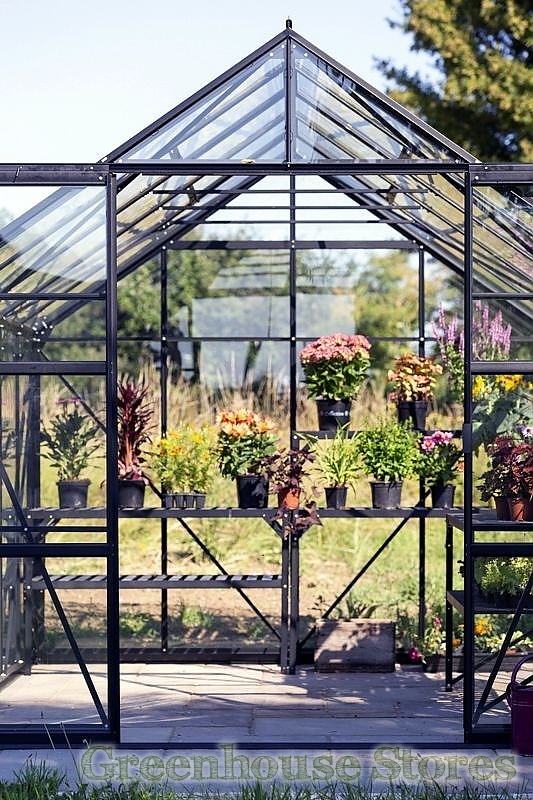 If toughened glass breaks it shatters into tiny harmless pebbles, not dangerous shards that could injure you making this glazing ideal for safe use in gardens and institutions. 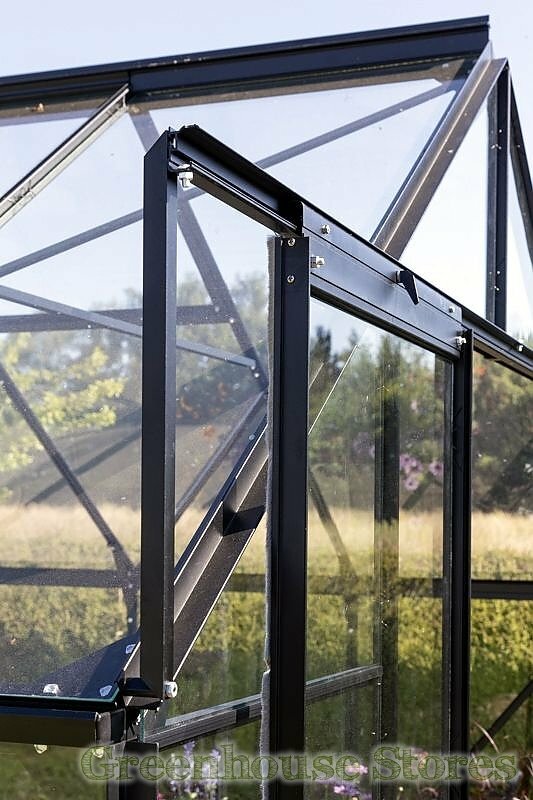 The black Vitavia Phoenix 9900 8ft x 12ft has 4 opening roof vents for superb ventilation, sliding double doors and integrated perimeter base and gutters.